You have seen different items for children that we have showcased here. For sure you had fun while checking the items because they had fun and playful designs. You can even get one that would fit into the taste of your kids and would also add appeal to their bedrooms. Today, we will have another batch of items for kids. Ceiling fans give coolness to a space through the air produced from it. But aside from that function, there are some that also bear lightings. Still others come in beautiful designs making the ceiling fans part of the interior decoration. We will be showcasing 15 designs of children’s ceiling fans. This one-light ceiling lamp in Multi-finish really has a childish touch with airplanes hanging from it. 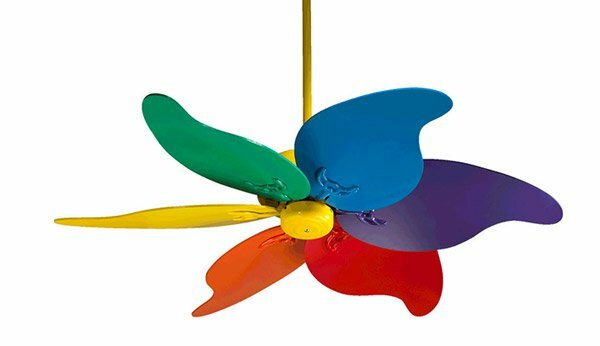 Pinwheel designed ceiling fan of different colors can give a fancy look to your child’s bedroom. Add appeal to your boy’s bedroom while giving tribute to the days where warbird planes were glorious and served as freedom during the time of war. This balloon inspired ceiling fan sure is lovely and would fit for a girl and a boy’s bedroom. Your little pilot will have a fun-filled imagination with a ceiling shaped like an airplane. Basketball is one of the most loved sports. You might as well get this kind of fan and your boy will become your number one fan! 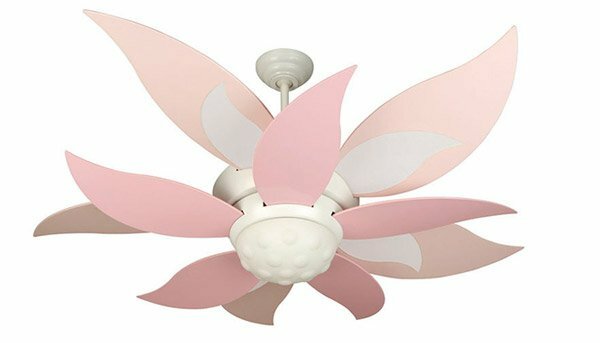 A flower themed room will appear more charming with a ceiling fan like this. This also comes in different colors. Harlequin 36″ is an all in one lighting and cooling solution for your kids which are engineered for powerful cooling in a playful design. 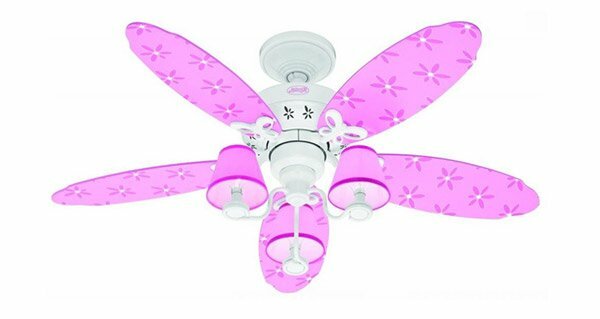 A bedroom for a princess will be given more touches of royalty if you add this ceiling fan into the interior. It isn’t just pink but it is a fan and a chandelier in one. Have a thing for ladybugs? 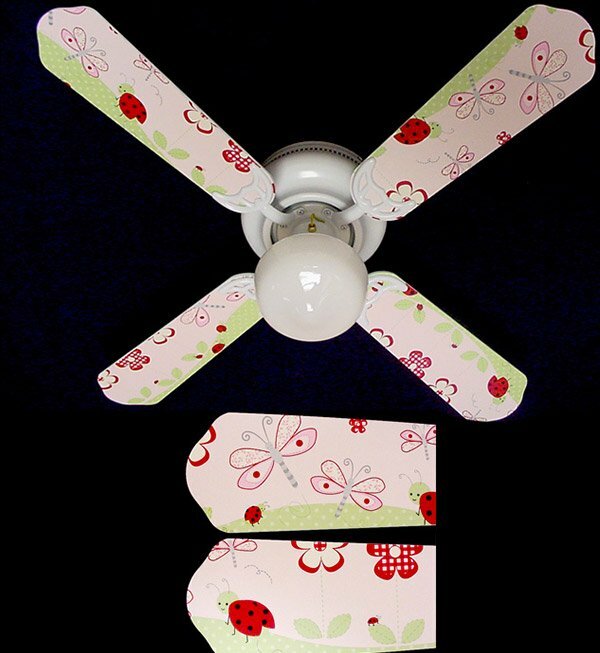 Then this ceiling fan with ladybug decorated blades is for you. Another ceiling fan that is inspired by planes. This time, it is designed based from a warplane and it sure looked like one. A simple design for a ceiling fan with different bright colors for the blades. Soccer is a ball game that your little one might love. For sure, he will find this fan cool. 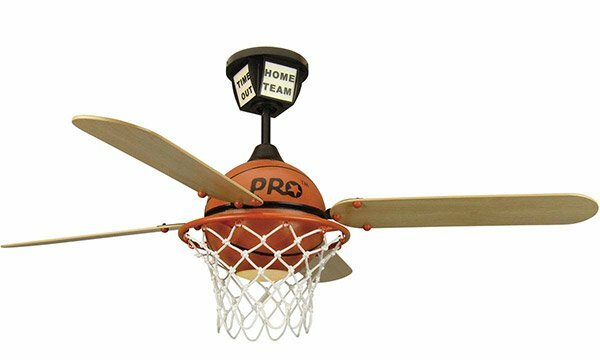 These ceiling fans sure are fun and funky! Aside from its design, you will also like this for it can provide both cool air and light.